Although the Turbografx-16 CD attachment technically beat Sega to market, the Sega CD was the first major CD-based system. Attaching to the underside of Sega's mega-successful Genesis console, it promised to take gamers to "the next level". In addition to displaying video and playing high fidelity audio, the Sega CD included internal memory storage (for saving games) and incorporated built-in scaling and rotation graphic capabilities. Interactive video titles like Night Trap and Sewer Shark were supposed to revolutionize gaming, but beyond sheer novelty value, these games' limited interaction and minimal replay value didn't hold most gamer's attentions. As we've seen with so many other video game technologies, just because you can do something doesn't necessarily mean it's a good idea. Sega somehow failed to realize that the future of games lied in 3D graphics, not full-motion video. This continued shortsightedness was evident in their disappointing Saturn console, which was underpowered in terms of 3D capabilities (compared to the Playstation at least). The initial version of the Sega CD was a square, front-loading model that attached to the bottom of the Genesis console. With no controls on the outside (just two lights), it was controlled entirely through software. Later, this sturdy model was replaced with a lightweight version that rode sidesaddle with the Genesis and had a pop-top lid. Compared to the first Sega CD, it felt flimsy and cheap. The newer model is also known to have problems running certain games. It should also be noted that Sega eventually released a hybrid unit called the "Sega CDX" that combined the bulky Genesis and CD units into a sleek and small combo. The Genesis and its limited color palette was not ideal for video, and consequently the system's video footage appears extremely grainy. In most cases the video doesn't even fill the screen, but is displayed on a smaller window within the game screen. Although the Sega CD did add rotation and scaling capabilities, Sega couldn't really boast about this since the Super Nintendo already had those features built-in, with no upgrade required. Many Sega CD games were simply repackaged Genesis titles with enhanced music, FMV intermissions, and load times. To be fair, the load times are minimal compared to the Neo Geo CD or Playstation. The Sega CD eventually faded, but not before amassing a sizeable library of games. 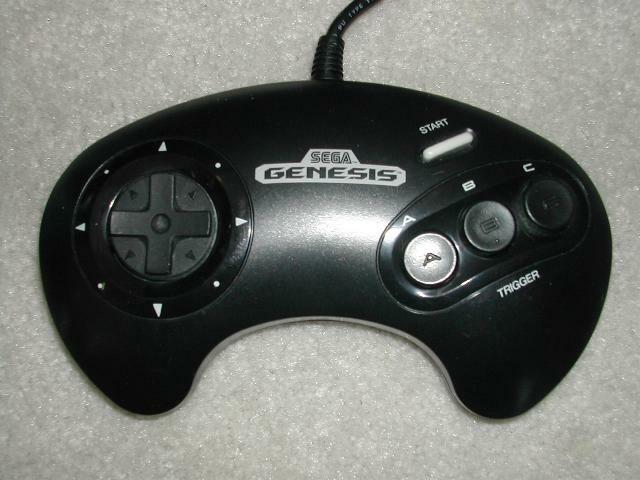 Many of these have not aged well, particularly compared to their Genesis counterparts. Still, there are a few gems including the souped-up Batman Returns, the rapid-fire shooter Silpheed, the engrossing graphic adventure Snatcher, and a few critically acclaimed RPGs. Night Trap has great historical value. Along with Mortal Kombat, it was a lightning rod of controversy, prompting Congress to investigate the subject of video game violence. Utlimately this led to the establishment of the video game rating system in use today. It's also interesting to note that the standard Genesis system outlived the Sega CD. In fact, the Genesis 3 didn't even support the add-on. Console design: B+/D. The original front-loading model is highly prized by collectors, and can be expensive to aquire. Clean and elegant in design, it fits neatly under the original-model Genesis. The only part that clutters the configuration is the "mixing cable" that runs from the Genesis headphone jack. The second (and more common) Sega CD version is easy to acquire but looks somewhat junky in comparison. Both systems feature internal memory for saving games, which may or may not still function after all of these years. Oddly, my older model still has working memory, but the newer one is dead. A Sega CD memory cartridge is available as a storage alternative. Console durability: C/D. Like many old CD-based systems, the Sega CD is susceptible to disk read problems. In some cases this can be fixed by properly cleaning the lens, but in general, purchasing a used Sega CD system is a risky proposition. Controllers: B. 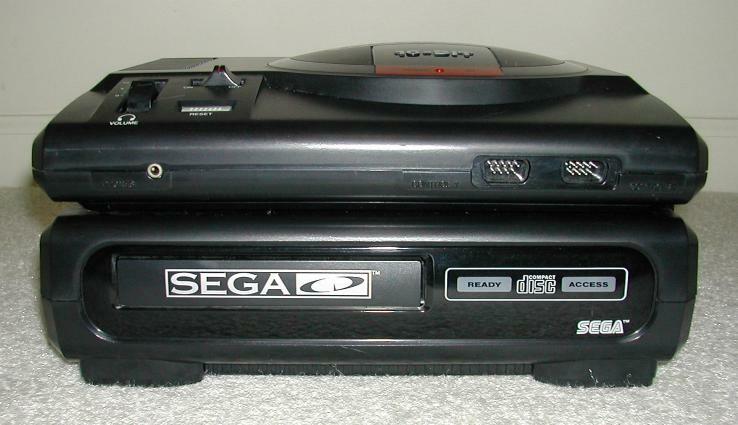 The Sega CD uses the same controllers as the Sega Genesis. These are highly regarded, in spite of their modest, three-button configuration. Media: C. While the CD format is quite suitable for video games, the Sega CD didn't make the most of it. The sound quality of many Sega CD games is less than crystal clear, and the added load times probably made many early adopters think twice about their new investment. In addition, although CD games are considerably cheaper to produce than cartridges, Sega didn't bother passing along the savings to the customer. Packaging: F/C+. 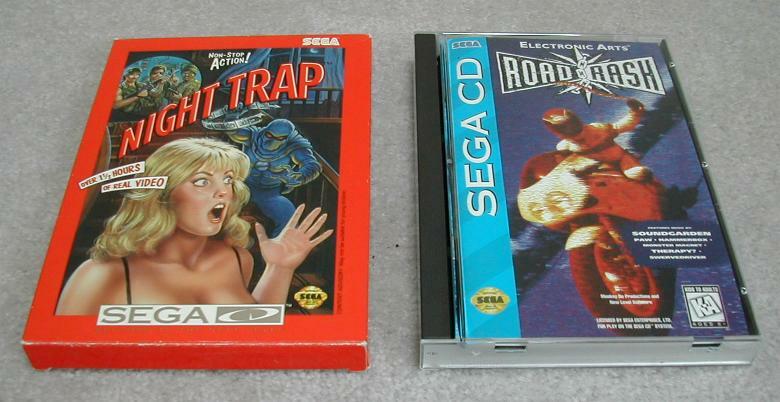 Initially Sega CD games were packaged in flimsy cardboard boxes. A few months after release however, these were replaced by long, clear plastic boxes like those used for Saturn games. While these don't look bad on a shelf, they crack very easily and take up a lot of space. Games: C-. The Sega CD is well known for its popular RPG's such as the "Lunar" series and "Popful Mail". The system also had an exclusive Sonic the Hedgehog title called "Sonic CD". Outside of these however, most Sega CD games can either be categorized as "enhanced" Genesis games or full-motion video (FMV) titles. Enhanced games like Batman Returns and Ecco the Dolphin offer added extra stages and improved audio at the cost of load times. As for the FMV titles, most gamers don't care for them due to their poor video quality and limited interaction. I personally tend to enjoy them, not as much for their gameplay as for their rock-bottom production values, idiotic dialogue, and laughable acting. Graphics: D. Except for the full motion video, Sega CD graphics look identical to their Genesis counterparts. I imagine this came as quite a shock to early adopters who were promised "the next level" of video gaming. Genesis games don't look particularly bad, but they lack the color and sharpness of SNES titles. Sega CD games also tend to have "static" on the top and bottom of the screen, although this doesn't affect the gameplay. Audio: B. Surprisingly, many Sega CD titles contain music that's not even CD quality! Although certain Sega CD titles do feature a CD-quality soundtrack (like Ecco the Dolphin), this perk isn't as great as its sounds. I personally find the distinctive electronic tunes generated by the Genesis to be far more interesting than the pre-recorded music tracks used in many Sega CD titles. Collectability: D. Nostalga buffs might appreciate this system, but if you already have a Genesis, the Sega CD isn't much of an improvement. Many of the enhanced Genesis games aren't worth the upgrade, and most of the FMV games (Night Trap, Dragon's Lair) were done better on other systems (like the 3DO). Tracking down a working front-loading system is difficult, but the newer models are easy to find and relatively cheap. Since reliability is a factor, you'll want to confirm that the system is fully functional before buying it. Even well conditioned systems can suffer from read problems on occasion. Also, I'd recommend purchasing a system already attached to a Genesis unit, since the extra parts required to connect it to a Genesis may be missing. On a positive note, most Sega CD games themselves are readily available and relatively cheap, both new and used. Innovations: First major CD-based system, internal memory storage.